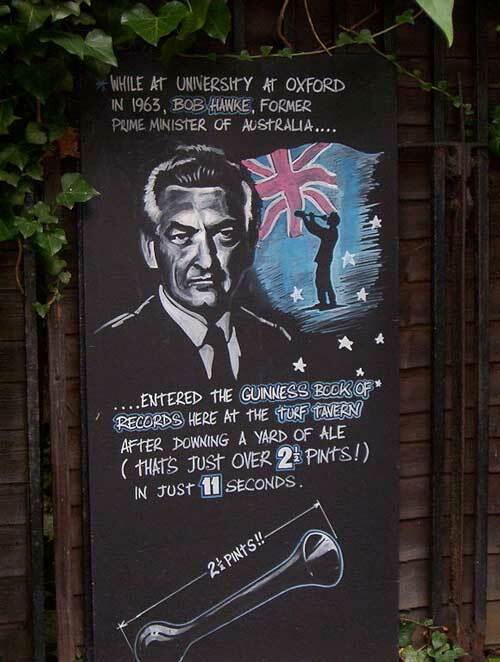 While at university at Oxford in 1963, Bob Hawke, former Prime Minister of Australia, entered the Guinness Book of Records here at the Turf Tavern after downing a yard of ale (that’s just over 2½ pints!) in just 11 seconds. 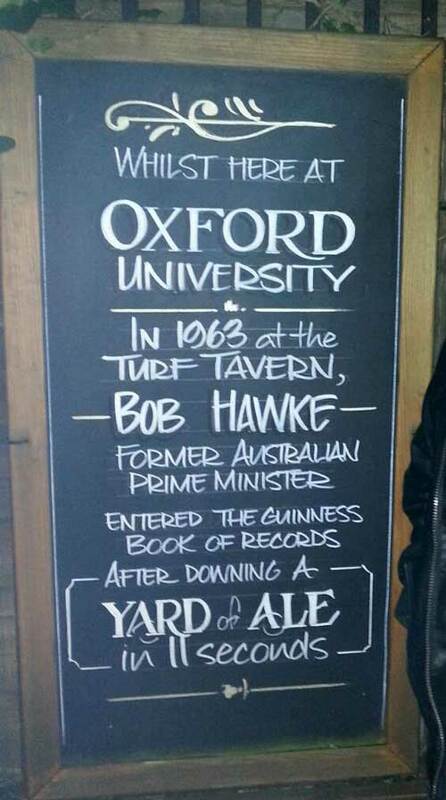 Whilst here at Oxford University in 1963 at the Turf Tavern Bob Hawke–former Australian Prime Minister–entered the Guinness Book of Records after downing a Yard of Ale in 11 seconds. Created about 6 yrs, 2 mths ago (February 17, 2013). Updated about 5 yrs, 5 mths ago (November 14, 2013).